The Ohio State app continues to be an everyday part of the lives of many students, faculty and staff at The Ohio State University. In 2017, the app reached a record of nearly 60,000 active users in the first two weeks of autumn term! The app you know and love is getting even better! Available now for iOS (with Android soon to follow), the latest update to the Ohio State App includes several major improvements. 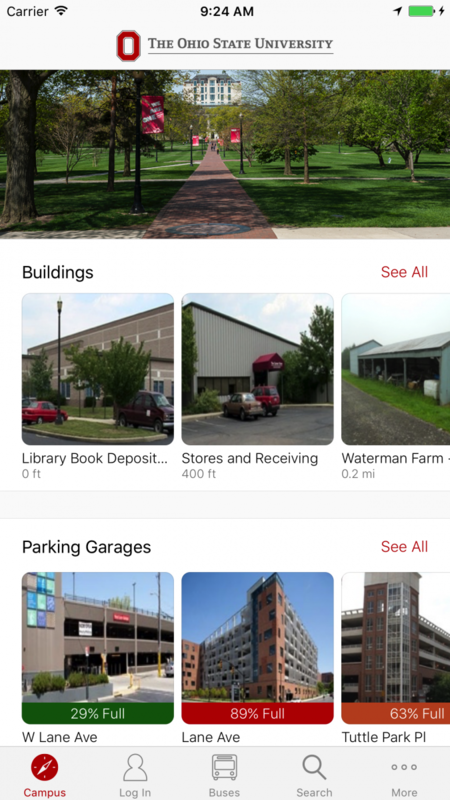 The Ohio State App lets you put campus in your pocket, so you can navigate the university on the go. Students, faculty and staff can find dining locations, check class schedules, review grades, look up email addresses, follow CABS bus routes and so much more. The 2016 calendar year has been a busy one for the mobile app team—several major updates were pushed to the iOS and Android app stores, and the first week of classes brought more usage than ever before!